Join Us for the Motorcycle Ride for Charity! Wednesday, July 5, 2017 marks the twelfth REALTORS Care® Foundation Motorcycle Ride for Charity! 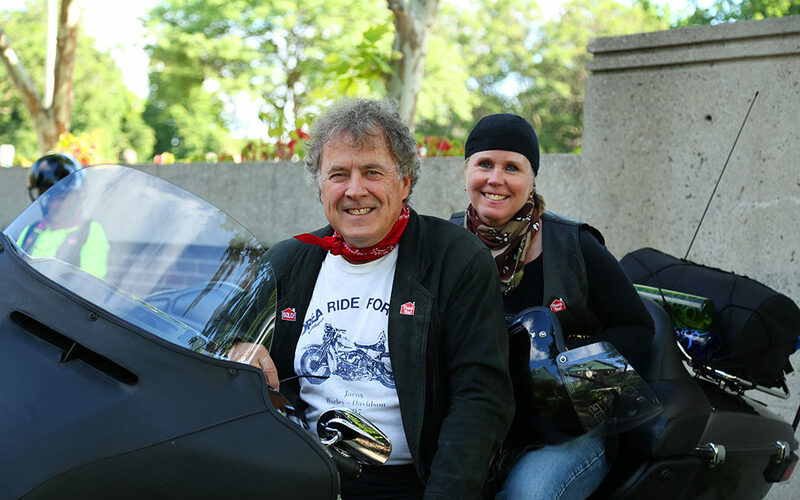 This scenic fundraising event gathers together REALTORS® from across Ontario (on motorcycles!) to raise money for local shelter-related causes. This year, the Motorcycle Ride for Charity will start here at the REALTORS® Association of Hamilton-Burlington with a kick-off breakfast that is sure to fuel you for the rest of your road trip! And your final destination – The Sarnia-Lambton Real Estate Board. This year’s fundraising goal is $25,000. To sign up for this 200+km adventure with your fellow REALTORS® visit the Motorcycle RIDER registration page. Don’t ride a motorcycle? No problem. You can always sponsor a RIDER. After all, every dollar that you donate will assist in providing charity support in your community. In 2016, the REALTORS Care® Foundation returned $38,440 to the RAHB area alone. For more information on the REALTORS Care® Foundation, visit https://realtorscareontario.ca.